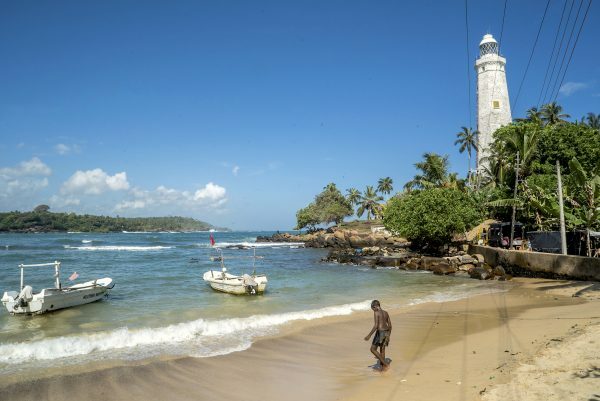 Sri Lanka, described by Marco Polo as “undoubtedly the finest island in the world,” is a mysterious land with a hint of Africa in its wildlife combined with the intriguing lifestyle and traditions of India. 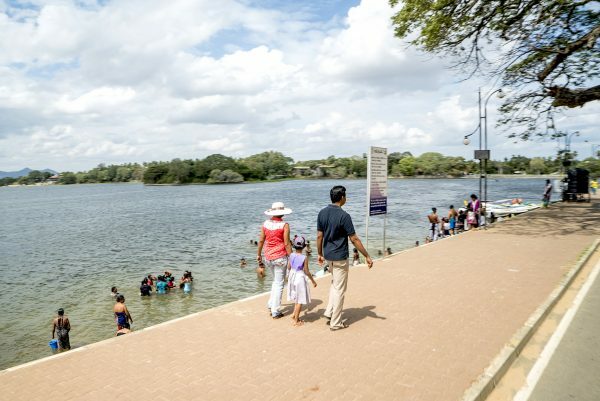 Beyond the island’s sandy beaches lie some of the most unique and best-preserved nature reserves in the world, many of which date back to colonial times and earlier. 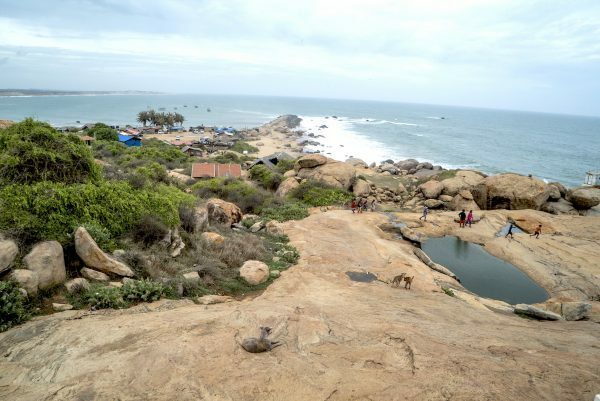 My destination was Yala National Park bordering the Indian Ocean on the southeast coast, whose 98,000 hectares offer a sanctuary for rare animals such as the leopard. It is one of the few places on earth where large numbers of these big cats have a safe and protected home. 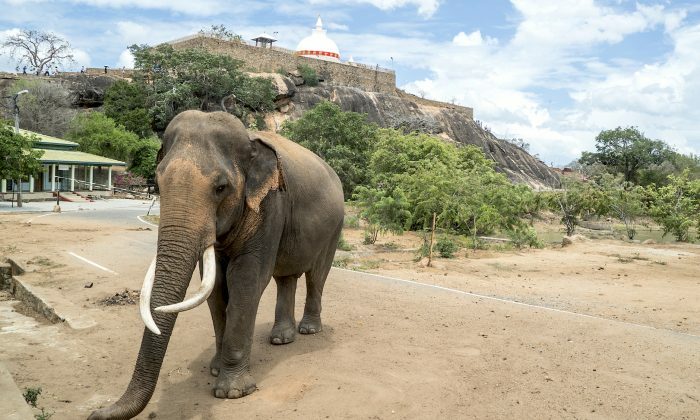 The park—Sri Lanka’s most popular—is also home to a variety of other wild animals as well as reptiles and hundreds of bird species. 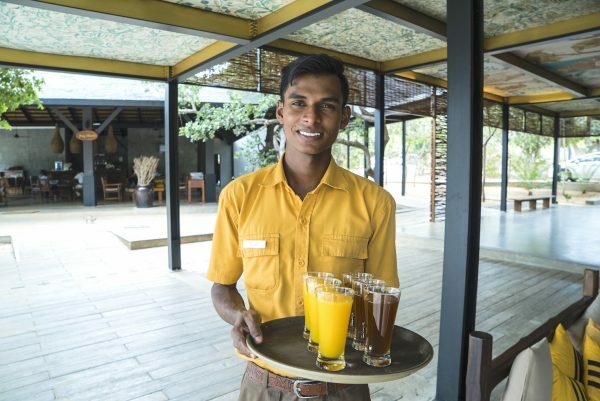 I stayed at the Cinnamon Wild Yala hotel located on the edge of the park. Along the dusty lane leading to the hotel, my driver stopped so that I could get a good look at the crocodiles that reside in the huge lake nearby. Two big crocs were sunbathing on an island while others were lazing in the water. The hotel is set in the forest along the coastline, and its grounds are often frequented by the wildlife that live in the park. After checking in I went for a stroll and came upon a troop of monkeys, some on the ground and others playing in the trees and munching on fruit. I wasn’t too sure about them so kept my distance. While I was worried about the monkeys, suddenly a small group of wild boars passed in front of me! 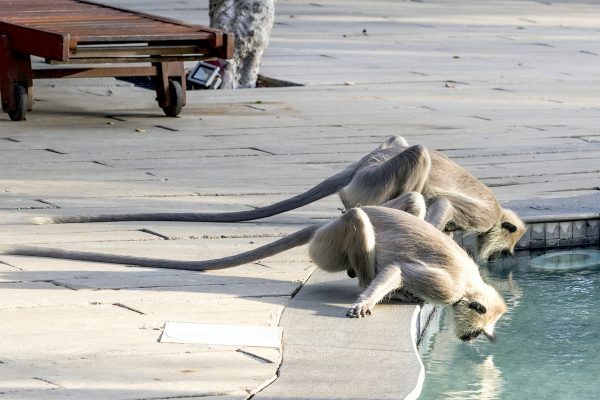 However, a hotel staff member told me that the monkeys are harmless and the animals around the hotel are used to humans. We departed on our safari the next morning at 4 a.m. 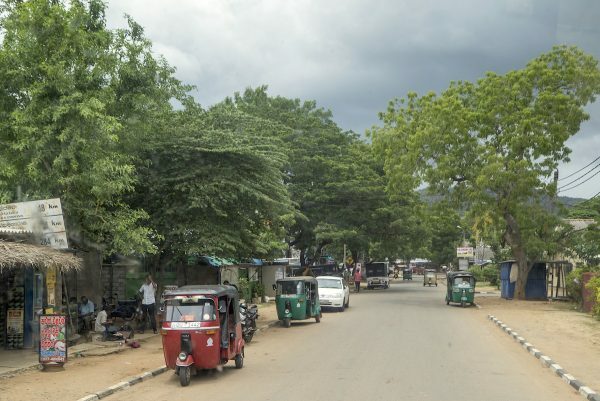 The Yala is divided into five blocks, but the popular block 1, next to the Cinnamon Hotel, was closed for major maintenance work, so we had to travel to the other end of the park to block 5, a 90-minute drive. We arrived there just after sunrise, but we were not alone. There were many other safari jeeps filled with visitors hoping to catch a glimpse of the ever-elusive leopards. We veered off through a dusty narrow path in the woods and past a lake bordered with vegetation, and came across monkeys in the trees, lizard monitors, and a large group of buffaloes in the lake, but no leopards. In the end, after driving to various locations and waiting there for long periods with no luck, we headed to other areas of interest in the park. Our first stop was the Weheragala Reservoir, a dam that is so important it’s featured on the back of Sri Lanka’s 5,000 rupee note. It was built over a vast forest, and the grey, dead trees sticking up above the water are a scenic but eerie sight. We then drove to a more tropical part of the park and stopped by a river where there were peacocks and deer, and on the way back to the hotel we saw some elephants up close—a thrilling sight to say the least. As for the leopards, I later learned that they’re more likely to frequent block 1 of the park than block 5. Too bad block 1 was closed during my visit. The next morning our guide took us to a local farm to see the portable steel fences provided to farmers as part of the effort to protect the leopards. The leopards used to prey on cattle in the area, and in turn the farmers would shoot the leopards. Our guide said the fences have done a lot to protect both the leopards and the cattle. 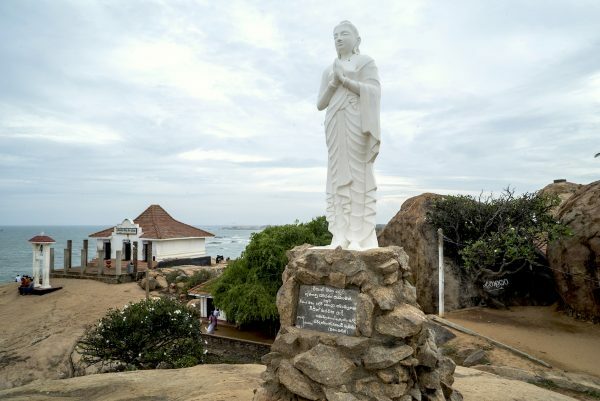 From there we headed for the Buddhist pilgrimage town of Kataragama, which adjoins Yala National Park, to visit the nearby ancient monastery of Sithulpawwa Rajamaha Viharaya, built in the 2nd century B.C. by King Kavanthissa. For over 2,000 years the monastery was a place of worship as well as a centre of education for Buddhist monks. 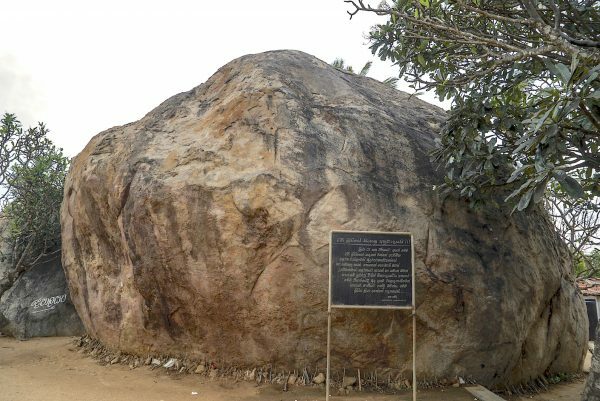 On the grounds there are stone Buddha and Bodhisattva statues, cave temples, paintings from the Anuradhapura period, and several stupas (hemispherical monuments housing sacred Buddhist relics). In the valley below the temple we explored a cave decorated with wall paintings and inscriptions, with a large Buddha statue on one side. The 122-metre summit of Sithulpahawwa is called “the hill of the quiet mind.” We made the arduous climb through tunnels and winding dusty paths to the top and took in the stunning panoramic view of the surrounding region. I thoroughly enjoyed my few days at Yala and seeing the animals in their natural habitat. 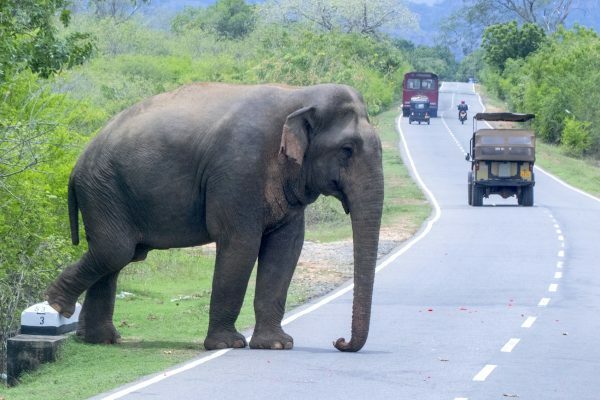 I kept my visit short because I planned to go see the big elephant gathering at Minneriya National Park in north-central Sri Lanka. During the dry season, 300-400 elephants gravitate to Minneriya for water and fresh grass, all of which have dried up elsewhere. It constitutes the largest meeting of Asian elephants in the world and I didn’t want to miss it. Tip: Download mobile app 444, a booking platform in Sri Lanka that lets you buy tickets online for movies, concerts, and events, and also provides information about places to visit and directions to get there. A day at the museum is the stuff family memories are made of. What could be better?